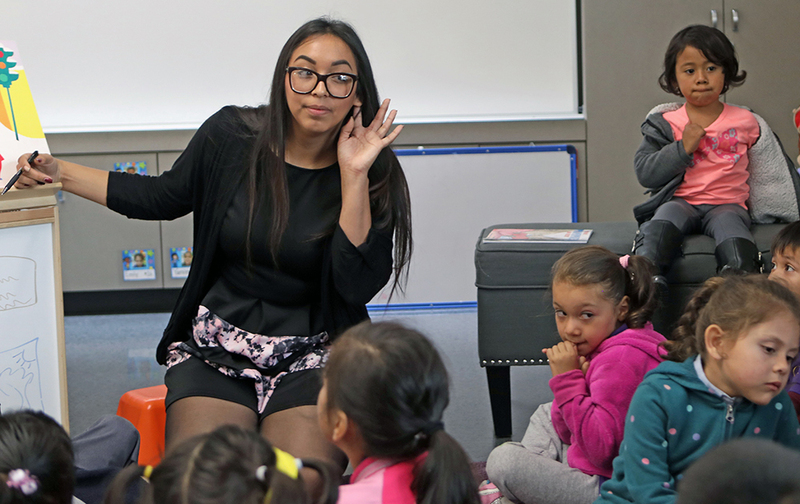 Kindergarten teacher Melissa Nino leads a reading lesson in her classroom at Aspire Inskeep Academy in South Los Angeles. As California struggles with a teacher shortage, charter schools face distinct challenges recruiting teachers. Those challenges are exacerbated by the rapid expansion of charters, with the number of schools more than doubling in the past decade. “The teacher shortage is being felt everywhere, but charters often have more to overcome,” said Kelly Hurley, chief talent officer of Green Dot Public Schools, a chain of 19 charters in Los Angeles that had 30 teaching jobs not filled by fully credentialed teachers at the start of the school year. Recruiters at five of the state’s largest charter networks, also known as charter management organizations, said they were able to fill all or nearly all of their vacant positions with fully credentialed teachers at the start of the school year. Meanwhile, Aspire Public Schools and Green Dot had 25 and 30 positions, respectively, that were not filled by fully prepared teachers. But those numbers, they said, don’t tell the whole story about the difficulties the schools had in the preceding months filling vacancies – and the financial incentives they had to offer along with using other tactics to get job applicants on board. Until now, most attention has focused on how regular public schools are affected by teacher shortages, but little attention has been paid to the difficulties faced by charters, which now serve one in 10 of California’s 6.2 million public school students. In their search for candidates, some charters went beyond even the aggressive recruiting of traditional public school districts. The largest regular districts in the state opened this year having filled all their advertised job openings with fully credentialed teachers, but to do it they had to offer incentives and bonuses, EdSource recently reported. “For us, hiring includes just getting our message out that we’re a public school organization, one that’s stable and will be around for a long time,” said Kelly Hurley, chief talent officer of Green Dot Public Schools. To better compete, some charters expanded “residencies,” based on the medical school model of training residents. Prospective teachers receive on-the-job mentoring from master teachers, and charters are even paying them stipends or covering part of their tuition while they complete credentialing and master’s programs. Melissa Nino is a first-year teacher and part of the Aspire Teacher Residency at Aspire Inskeep Academy in South Los Angeles. A handful of regular school districts, state universities and other groups have recently launched similar residency programs across the state. But Nino said the Aspire program gave her more. “I researched jobs at LAUSD before I started at Aspire, and nothing came close to what Aspire could offer me,” said Nino, who teaches kindergarten. 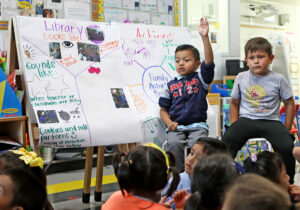 A student at Aspire Inskeep Academy in South Los Angeles raises his hand to ask a question during a reading lesson. As part of her residency, Aspire provided Nino a $13,500 stipend that helped pay tuition at University of the Pacific, where she earned a master’s degree. “I feel that I’ve received such a high level of support that I wouldn’t find at a regular school district,” she said. Last year, one in 11 public school students, or 581,000, attended one of the 1,228 charters in California, according to the California Charter Schools Association. California charters employed about 25,000 teachers last year. And charter school enrollment in California continues to grow. Between 2014-15 and 2015-16, charter schools added more than 27,000 students. By contrast, the total public school enrollment between those years declined by almost 9,000 students. Most of these new charter students came from regular school districts, with their teachers generally not following them to charters. If each class had an average of 30 students, charters would have had to find 925 additional teachers to fill those classrooms. It’s all part of a national teacher shortage that is especially hitting some states like California, where districts are reporting shortages in special education, math, science and bilingual education. The state saw a 45 percent drop in enrollment in college teacher-preparation programs between 2010-11 and 2013-14, followed by a 10 percent increase in 2014-15. In interviews with EdSource, most of the largest charter organizations reported a shortage of credentialed teachers at the start of the school year. Over the past couple of years, some of Aspire’s campuses have started offering bonuses of $2,000 to $5,000 to recruit more science, technology, engineering and math, or STEM, teachers. These subjects were in the highest demand not just at Aspire, but at most other schools. “It’s becoming a great challenge. Our recruiters are busy year-round traveling to (teaching colleges) to tell new grads, ‘Hey, we have a job for you,’” said Kara Maguire, a vice president at Aspire. Maguire said Aspire prefers to hire experienced teachers, but the shortage has made fewer of them available. The company is now focused on attracting teachers with fewer years of experience. Maguire said that’s where the Aspire Teacher Residency program comes in. These residencies are quickly spreading among other charter school organizations, which see them not only as a recruiting tool, but also as a way to cut down on the historically higher teacher turnover rates at charters compared with traditional school districts. A 2014 national report by the National Center for Education Statistics found that charter schools nationally experienced more annual teacher turnover than traditional public schools. About 20 percent of charter teachers moved to another school or left the profession altogether in the 2012-13 school year, compared with 16 percent for teachers in regular schools. By offering more support through training and mentoring in teachers’ first years on the job, they are more likely to become invested in their campus and less likely to feel overwhelmed and burned out, Maguire said. This past summer, Green Dot, a charter organization focused on turning around failing Los Angeles Unified schools, launched a teacher credentialing school, Adelante Teacher Credentialing Program. The program was formed in partnership with Loyola Marymount University’s School of Education. Adelante students receive a 30 percent tuition discount as part of the accelerated, one-year credentialing program. After they complete the program, the new teachers become eligible to work at Green Dot campuses and continue to receive mentoring and other support. At KIPP Bay Area Schools, which operates 11 charters with 4,700 students, recruiters struggled to hire enough teachers for the start of the school year. Ben Ochstein, KIPP’s director of talent, credits barely filling every vacancy with KIPP’s strong relationship with the region’s teaching colleges and universities, and competitive salaries. But hiring enough teachers is becoming more challenging each year as KIPP adds new campuses. For KIPP East Palo Alto, which opens in fall 2017, recruiters have already posted nearly 30 openings. Ochstein said the Bay Area’s high cost of living adds another challenge. He said KIPP often competes for teachers with Bay Area school districts, including San Francisco Unified, San Jose Unified and Oakland Unified, which have struggled to find enough teachers each of the past few years. About 80 percent of the teachers hired this year by KIPP Bay Area have two or more years of teaching experience. About half of them worked previously at regular public schools, Ochstein said. 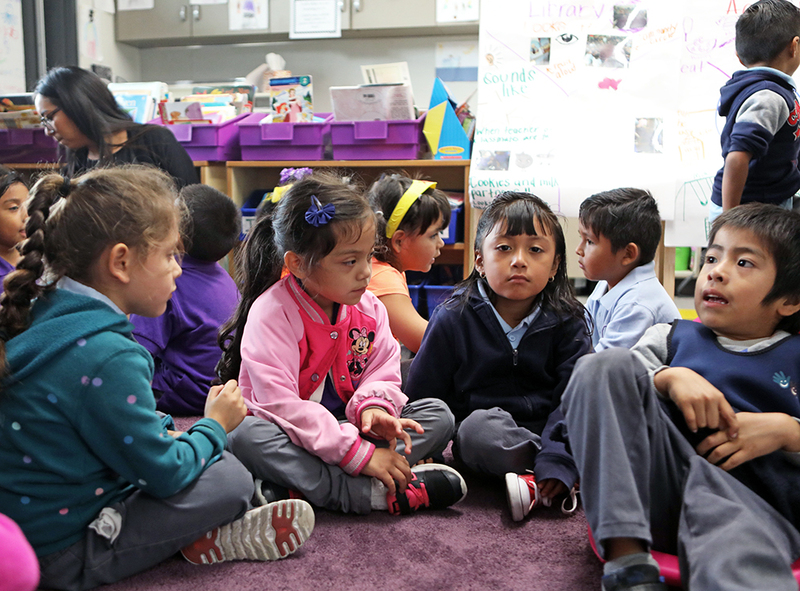 Kindergarten students at Aspire Inskeep Academy in South Los Angeles work in groups during a reading lesson. Teachers who switched from those schools to KIPP do so for a variety of reasons, Ochstein said. “But generally we find they come to us because of recommendations from teachers who already work for us,” he said. Independent charters, those that don’t belong to a management organization like KIPP or Aspire – and especially those in more rural regions of the state – face keen competition for teachers from urban schools. Most of these independent charters can’t afford residency programs, stipends or bonuses. Charters also have to deal with news reports about controversies affecting some campuses, including closings, financial problems and administrator misconduct. Charter backers say these issues aren’t representative of all charters, and point to the overall growth and success being experienced statewide. The number of charters opening this past year were more than double the number of charters closing, according to the California Charter Schools Association. Other candidates opt not to work at charters because most are not unionized, leaving employees without the same job security that regular unionized school districts provide, said Todd Smith, a world literature teacher at City Arts and Technology High School, a San Francisco charter operated by Envision Schools. Smith is part of a group of Envision teachers working with the California Teachers Association to unionize the three Envision campuses in the Bay Area. Currently, the CTA estimates that about 250 charter schools, or about 20 percent, are unionized. These figures include 163 charters that are operated by a regular school district, where teachers belong to the same unions. Teachers at charters without unions are generally considered “at will” employees, meaning they can lose their job for almost any reason. These teachers can also leave their jobs at any time, including during the middle of a school year. Teachers working under union contracts can face sanctions, including a temporary suspension of their credential, if they leave their job during a school year. “It’s difficult to attract really qualified teachers, especially in shortages such as math or science when you’re not able to offer the same job protections that these candidates can receive elsewhere,” Smith said. Still, some teachers say they’re drawn to nonunionized charters because they provide more flexibility and control over instructional and curricular decisions. Additionally, charters have greater freedom to promote high-performing teachers, and fire or sanction those who fail to meet expectations, supporters say. 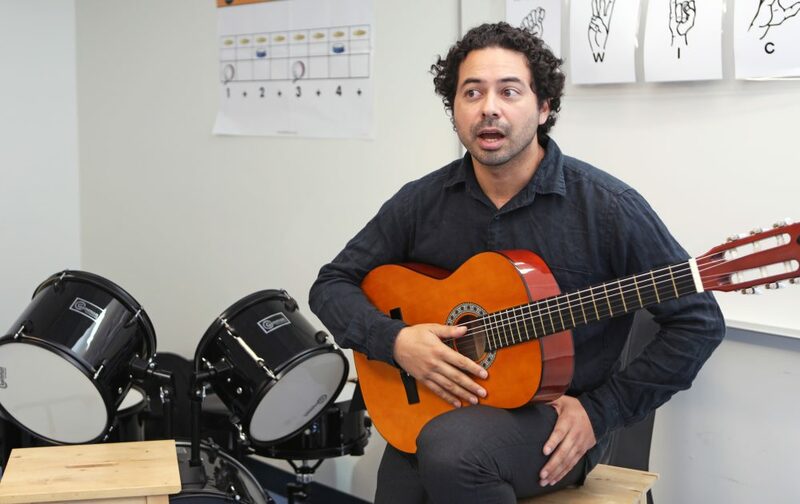 Andres Torres teaches music at KIPP Sol Academy in East Los Angeles. Andres Torres, a first-year music teacher at KIPP Sol Academy in East Los Angeles, said he feels his job is safer than if he worked in a regular school district even if he doesn’t belong to a union. 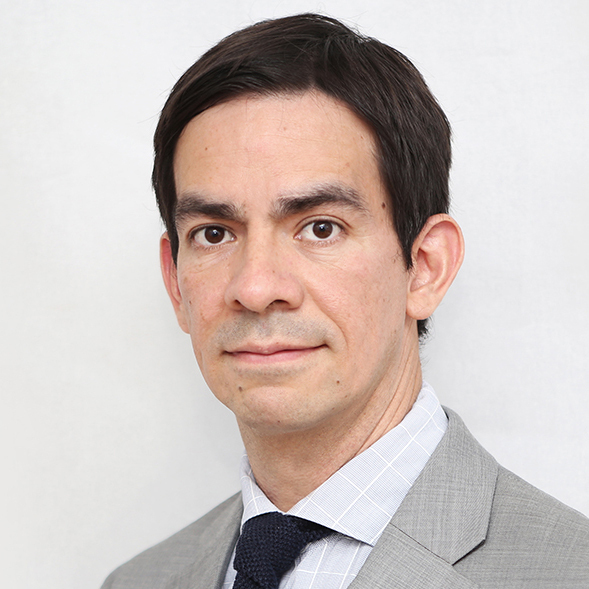 “At KIPP, the philosophy is to educate the ‘whole student.’ That’s why the music program is so important here,” said Torres, who was hired to run the school’s music department. “At a school district, when they implement budget cuts, one of the first things to go is music, and those teachers often are the first to lose their jobs,” he said. For Patti Hernandez, who will earn her elementary teaching credential after completing her coursework at CSU Fullerton next spring, the competition for teachers means she will have a lot of options. She’s already fielding several job offers. “Recruiters from all over the state are on campus all the time offering jobs. Each of them tries to sell us on all the perks they can offer” she said.